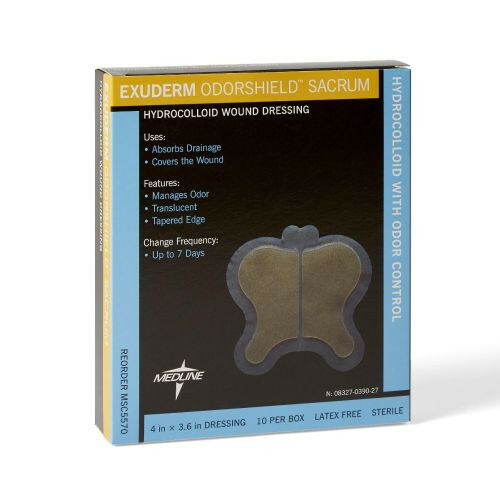 Exuderm Odorshield Hydrocolloid Dressing, manufactured by Medline, is a wound dressing that absorbs drainage, covers the wound and manages odor. This wound dressing is ideal for shallow sacral wounds with minimal drainage. 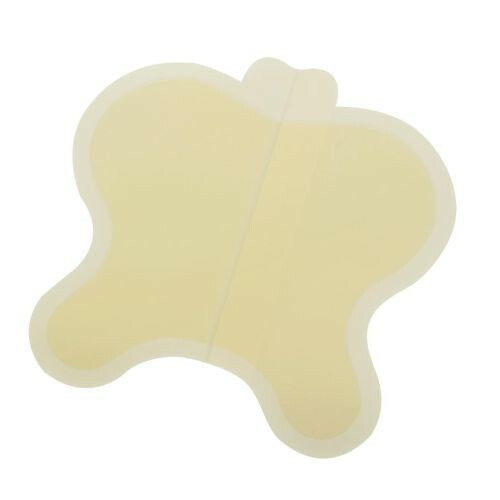 The design of this product features a low residue adhesive formula. 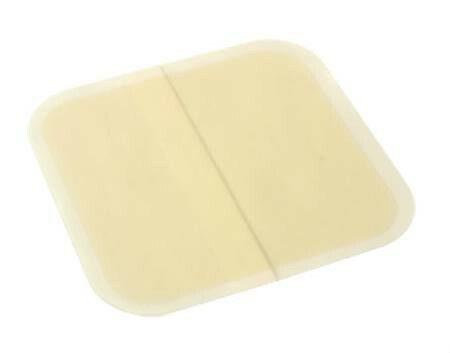 The edges on this item are translucent and tapered allowing it to adhere to just enough skin and not too much. 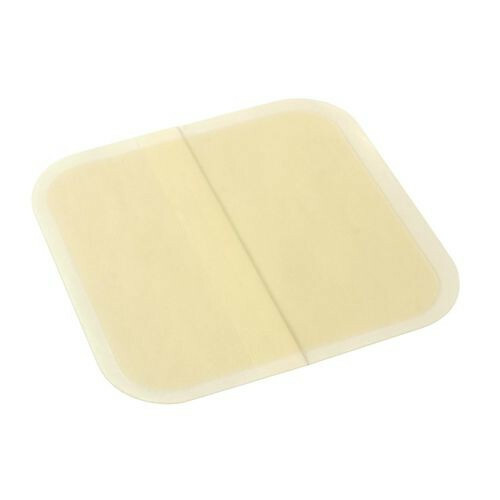 This can help with comfortable dressing changes since there is less adhesive to remove. 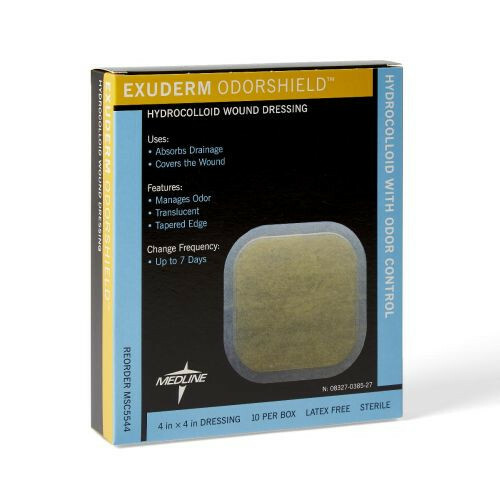 Exuderm Odorshield Hydrocolloid Dressing is available for SALE at Vitality Medical and features the ability to absorb odors from wounds. This is accomplished by it's cyclodextrin technology. Cyclodextrin is a process using natural compounds that attach to the odor molecules and remove them. This is a much different process than traditional deodorizing since traditional deodorizers just cover up the odor rather than remove it. This dressing features a longer wear time and can be left in place for up to 7 days.